First the good news to report. Our first week with our Alchemy of Core Beliefs students went very well. I’m still on track with blogging, and set up my blogging schedule for February. It really helps me to have a schedule, even though the deadlines are my own. That way it shows up on my calendar and I don’t forget. BlackLion and I finished refining our Feline Dreamers Road Map for 2016, and we’re both really excited about all the things we have planned. It feels ambitious, but in a good way – a positive challenge for us. On the other hand, I’m bummed to report that my Mom ended up in the hospital again. She’s feeling pretty well, actually, but her blood test indicated that levels were low that needed to be high, and ones that were supposed to be low, weren’t. I know, that doesn’t make much sense, but we must trust that the doctors know what they’re doing, and that she’s in the place she needs to be. We did a little bit of work on our novel revisions, but got kind of sidetracked. I also haven’t started on the Heart of the Goddess project. But both of those projects are on our schedule for this coming week, so that feels good. Continue to work with BlackLion on revising our novel draft. Get started on the new Heart of the Goddess writing project. 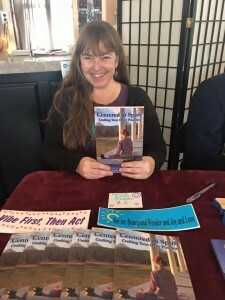 Create a list of local bookstores and shops I can ask to sell my books. I think that’s enough for this time around. I have a fairly busy week, and I don’t want to get overwhelmed. May your week be full of joy and inspiration! This week has been much more calm, so far. I’ve managed to catch up on some blogging, and have made some progress on other projects on my list. It’s been fun diving into the revisions and rewrites for our novel. It’s a good story, and although it needs a lot of work, I can see the potential. We can polish it up until it shines, I think, and becomes a really great story. That’s the objective, anyway. Our first live call with our Alchemy of Core Beliefs students went really well. I’m so thrilled that they are already gaining deep insights from the course, even as early as the first day. I know the course content is quite good, but it’s nice to have further confirmation from a new set of students, and I love being able to help people expand their understanding of themselves and their core beliefs. Also, one of the blog posts I wrote was inspired by a discussion we had on the call. Had a wonderful call with our Alchemy students. Made some good initial progress with our novel revisions. Mom is feeling much better. She sounded cheerful on the phone today, for the first time in a long time. Wrote four blog posts in two days. I’m on a roll! Got some more work done on my Leonie Dawson Life planner. Had a good planning call that is part of my biz coaching program. Gave a presentation to my women’s group at the UU church, which went pretty well. Several of the ladies told me they found it valuable. I hope the rest of your week is full of fun and inspiration! I managed to miss the Wednesday update, but that’s because it was just not the week I’d planned to have. My Dad was in the Emergency Room on Sunday. They sent him home with some meds for his back, and he’s getting better. Then my Mom ended up there on Wednesday! She had to stay over a couple of nights in the hospital, though she too is home now and on the mend. What a stressful week, though! Despite the family crises, I did manage to get to some of my work. Blogging was something that slipped, and I didn’t get started on my new Heart of the Goddess project just yet. But that’s okay. Since I didn’t find time to post on Wednesday, I’ll share both celebrations and mini-goals in this combined post. My parents are both home now and doing better. We have 6 students signed up for our Alchemy of Core Beliefs course, which begins tomorrow. I’m so excited to get started! 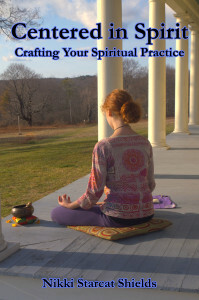 I had a very successful book signing yesterday at The Sage in Scarborough, Maine, for Centered In Spirit. BlackLion and I have been working our revisions on our The Door Is The Key novel. It’s going well. We’ve got more sessions planned, too – we found that we work on it more consistently if we plan the sessions into our schedule. I’ve been doing more exercise – in the form of dancing around the kitchen. Between that and my better eating habits, I’ve lost 7 pounds so far this year. Yay! Finish making plans for 2016 and filling out my planners accordingly. Have a terrific first week with our Alchemy of Core Beliefs students. Get back on track with blogging. That’s all for now. May your week go according to plan! My week was pretty productive, overall. The promotion for our online course, Alchemy of Core Beliefs, is going pretty well. I’m still working on the 2016 road map for our business, with all our plans – I’m now creating projects and timelines in Asana, which is the app that BlackLion and I are using to manage our tasks. I still have more writing to do in my Leonie Dawson planners, but I’ll get to it this week. I’m keeping up to date with blogging, which feels good. I’m now 53 percent of the way through reading Joanna Penn’s How to Make a Living With Your Writing. In the process of cleaning my room, where I’d stashed a bunch of things that I didn’t know what to do with when we rearranged downstairs, I got a start on organizing and de-cluttering the eaves. With a craft store gift card my Mom gave me, I purchased a craft storage unit that holds things like paper, glue sticks, scissors, markers, colored pencils, etc. BlackLion and I had our first revision session for The Door Is The Key, book 1. The last time we had worked on it was back in April! We’re using the book Rock Your Revisions by Cathy Yardley, and we’re fairly well along in the first section of the process, which involves evaluating where we need to revise, combine scenes, write new ones, etc. I’m looking forward to getting to the part where we actually get to write stuff. But that’s coming. This week, my weekly mini-goals look much like last week’s. But that’s okay, because I’ve been making progress on all of them. The only addition is that there’s a new writing project calling my name. Continue to promote Alchemy and fill more slots. Stay up to date with blogging. Work with BlackLion on revising our The Door Is the Key novel draft. 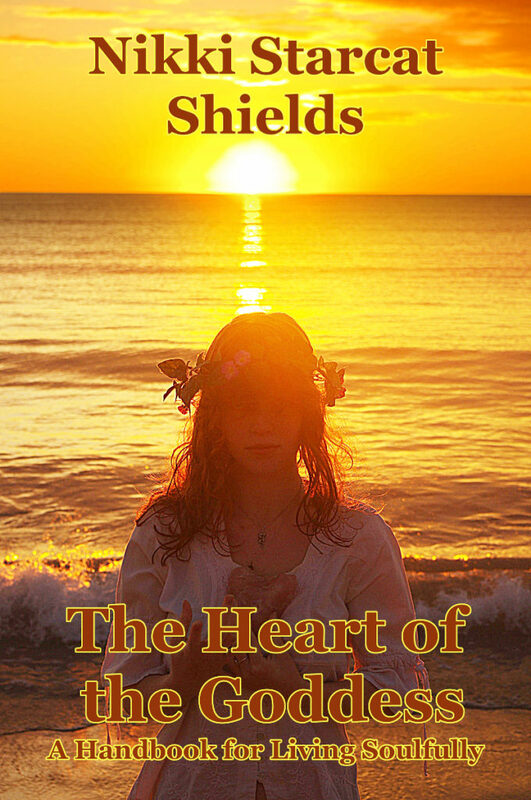 Get started on the Heart of the Goddess writing project. I hope your week is full of words! I really like this new system of doing mini-goals on Sunday and celebrations on Wednesday. That combined with the Leonie Dawson planners is rocking my world! I’m getting stuff done and having fun in the process, and not getting so frazzled about time management. Woo hoo! Celebrating my daughter (my youngest child) and her 17th birthday tomorrow! She’s such an awesome, creative, beautiful, compassionate young woman. I’ve been making great progress with my grand plans for 2016. BlackLion and I had our Feline Dreamers summit yesterday and figured out what we’ll be creating and offering this year. It’s gonna be a doozy! I’m thrilled. My promotion of the Alchemy of Core Beliefs course is going well thus far. I blogged this week, and set up plans and a system for future posts. I’m going to plan my posts monthly, which seems to be a good length of time for me. BlackLion and I have several sessions of revision work in our calendar now, this week and next. After we finish those, we’ll schedule some more. So, things are going well and I look forward to the rest of the week being as productive as this first part has been. I’ve also been inspired with some more writing ideas, so I’m taking notes on those things. I’m thankful I now have a working system for fitting all of these creative projects into my daily life. Have a fantastic week and I’ll talk with you on Sunday! I’m still in the midst of planning for 2016, even though we’re more than a week into the new year. I’m really enjoying the process, since it involves the delightful and colorful Shining Year planners created by Leonie Dawson. There are so many cool things in the works for this year! Other than writing in the planners, and in my journal, most of my writing this week has been in the form of correspondence. We’re gearing up to offer our online course, The Alchemy of Core Beliefs, later this month, so I’ve been following up with those who are interested, and reaching out to others. It’s going well so far. Write blog posts and create a plan for future posts. Set up times to work with BlackLion on revising our The Door Is the Key novel draft. We’ve been away from this for many months and I’m ready to get back to work on it! I hope your week goes well and is full of inspiration and new words. Blessings! Wow, it’s Wednesday already? One of the things I’ve learned about in my coaching course is that it’s really valuable to celebrate, regularly, the things that you achieve. Even the small things. Which I think is something we do here in ROW 80, as well, but I thought I’d put some extra effort into it. Since I usually post my list of mini-goals on Sundays, I think I’ll do celebration lists on Wednesdays. Sounds like good plan. Wrote and sent my January post for Kind Over Matter. It was published today. I’m really pleased that I was asked to stay on as a monthly contributor for 2016. Woo hoo! Offered a free virtual workshop last night with BlackLion, called A Self-Worth Tune-Up: Gear Up for an Amazing 2016! We had 10 participants on the call and most of them spoke up and shared what they were learning. We got some very positive feedback about it! I’m so thrilled. They especially liked the guided meditation I wrote for the workshop. 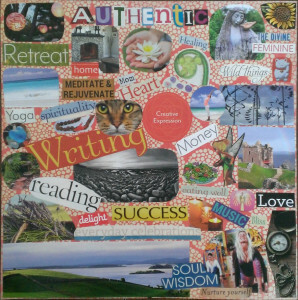 Made my 2016 vision board, featuring my word of the year, AUTHENTIC. I’m 30 percent of the way through reading Joanna Penn’s How to Make a Living With Your Writing. It’s great so far; I like her books. That’s my week so far. Now I’m working on getting our promotion all finalized for our online course, The Alchemy of Core Beliefs, which will be starting up on January 25th, and various other things on my list. Plus finishing up the planning process for 2016. Ready for an Amazing 2016! Happy New Year everyone! I’ve chosen my word of the year for 2016, which is AUTHENTIC. I’ve started working on my Leonie Dawson Biz and Life planners. I wrote up my Round 1 goals – and then I got hit with a stomach virus this weekend. Yikes! Talk about being forced to slow down. Today I’m a bit shaky, but definitely on the mend. Even so, I’m ready for an amazing 2016. So without further ado, here are my goals for this Round. Work on revising and editing The Door Is the Key book 1 (TDITK1). Finish the first pass of revisions using Rock Your Revisions. Complete re-writes and added scenes as necessary. Do the first complete proof-reading edit. Re-read draft of Patterns in the Void and make initial revision notes. Continue my craft & business learning. Participate fully in my In Arms Coaching biz program. Read at least 3 books about writing craft and/or making a living as a writer. Check out a couple of writer podcasts. Keep notes on ideas to use, and begin implementing them. Finish planning for 2016. Finalize our Feline Dreamers road map for 2016. Make a 2016 vision board. 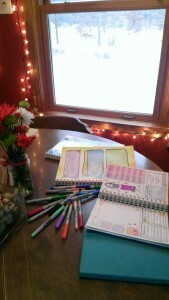 Finish filling out my Leonie Dawson Biz and Life planners. Add timelines for goals to online and paper planners. Complete various behind-the-scenes marketing tasks: Add my author name domain to my website(s). 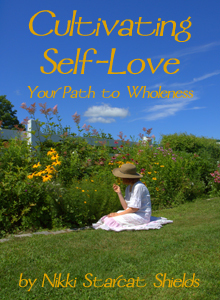 Add a Call to Action (CTA) to my Cultivating Self-Love e-book. 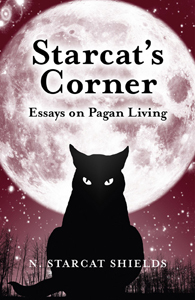 Decide if we still want to create weekday Fae Musings e-mails for our Feline Dreamers subscribers, and if yes, do so. Add new folks to both of our mailing lists. De-clutter and organize my life, creating beautiful spaces. Clean and organize my upstairs desk and filing cabinets. Finish our “punch list” for the rest of the downstairs project. De-clutter and organize the eaves. Create the photo gallery for the stairwell wall. Make inspiring art and music. Practice zentangling. Create new scrapbook pages and art journal pages. Take nature photographs to use on my websites and blog posts. Practice drumming regularly. Expand my spiritual awareness and the integration of all aspects of my life. Pay attention to my dreams and keep records of them. Set intentions before sleep and upon waking. Meditate and do my chakra clearing daily. Enhance my physical health. Devote time to daily exercise, including but not limited to walking, yoga, dancing, and swimming. Sign up for a membership at the pool for the winter. Stop eating sugar. Eat less in general. Live AUTHENTICally in my daily life. Do things I love: write in my journal, read, do yoga, dance, spend time with loved ones, and express my gratitude.